A hot water recirculation system is a plumbing enhancement that gives you instant hot water at every tap in your home. The system uses a pump that’s mounted near the bottom of your water heater that continuously cycles hot water between your water heater and the farthest tap in your home. What are the benefits of installing a hot water recirculation system? Instant hot water. With a hot water recirculation system, you don’t have to wait for hot water to travel from your water heater to your tap. That means whether you’re washing your hands or taking a hot shower, your hot water will be ready for use as soon as you need it. Conserves water. Because it provides instant hot water, a hot water recirculation system significantly cuts down on the amount of water that you’d otherwise waste while waiting for a tap to heat up. This is a great benefit because it helps the environment and lowers your utility bills! 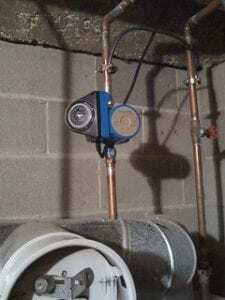 Is a hot water recirculation system energy-efficient? Since a hot water recirculation system is continuously operating, you might be wondering if it consumes a lot of energy. In recent years, energy-efficient pumps have been introduced that are able to operate while consuming a minimal amount of energy. In addition, many newer models have features like a timer or thermostat that tells the system to turn off when there is less of a demand for hot water or when it detects that your plumbing system has an adequate supply of hot water. The small amount of energy that these energy-efficient hot water recirculation systems use is offset by the amount of water-savings and convenience they provide. If you have any questions about a hot water recirculation system, or if you’d like a plumbing system serviced or installed in your home, contact Tiger, your Glen Carbon plumbing, heating and air conditioning company. Previous Previous post: Want to Breathe Healthy Indoor Air? Install a Home Air Cleaner! Next Next post: What is an HVAC Maintenance Agreement and Why Should you Consider Joining Tiger’s Club Membership?